Durham Attack 13U Heat Volleyball Team – A warm reception on a cold day for fundraising! 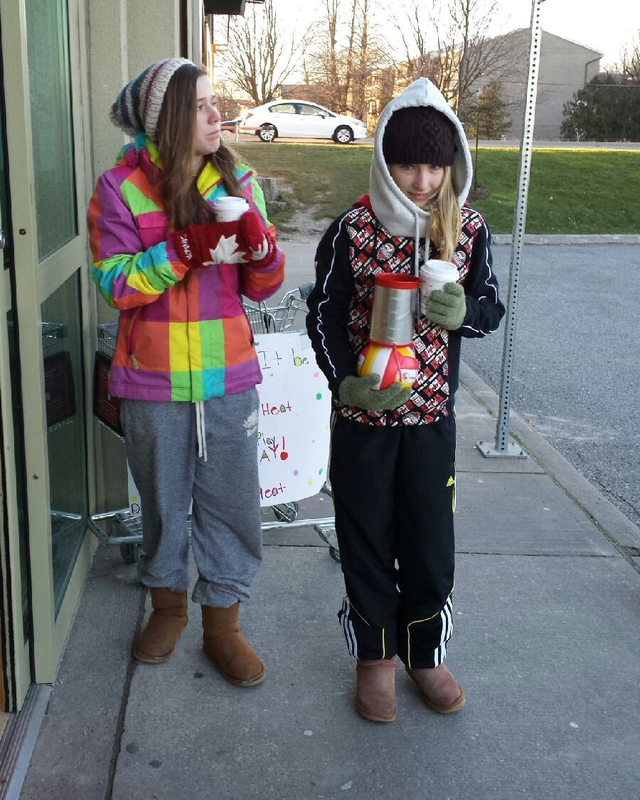 The last LCBO fundraising day for the Durham Attack 13U Heat team was the first really cold day of the season. It was brisk outside! Regardless of the weather, the girls kept their spirits high and again received wonderful support from the local community. Thank you to everyone that donated and to the management at the LCBO Brock Rd. & Hwy. 2 location. Great job girls! Amy & Jenna from the Durham Attack 13U Heat volleyball team during the teams’ fundraising effort at the LCBO Brocks Rd. and Hwy. 2 location in Pickering. The Agents of H.E.A.T. took on the Durham Attack U14 White team. Durham Attack 13U Chaos – Fun Fundraising!